Maintenance is a way of life. Whether you’re going into the doctor for a general check up at the doctor or taking your car in for an oil change, the concept is the same: rectifying small problems helps alleviate big ones. There’s a huge difference between taking action, and reacting. And the same policy should apply to your home. Why wait until your garage door stops working to have somebody come out and take a look at it? Preventative maintenance can not only save you the hassle of a morning garage emergency, it can also positively impact your bank account. Having one of Garage Door Pros experts come out to regularly conduct proper maintenance on your garage door -- checking all gears and motors, including the springs, rollers, openers, and various other parts -- can help you catch small issues before they become major problems. Let our trained and certified garage door experts keep you on track. Contact Garage Door Pros today for a FREE Estimate! Tuning up a garage door can be a simple process if you have the tools needed to get it done. It’s important to do maintenance on a regular basis if you don’t want to have to waste time and money. When it comes to choosing the right location to get it done for you is easier than you think. Tune ups done by professionals often also comes with an inspection to ensure your garage door is safe. Don’t miss out on a great opportunity and be sure to work with the best. Learning more about how a garage door functions will show you how every screw and bolt plays a role. Now is your chance to improve your chances at success by getting the job done with an efficient team. There is no time like the present to make sure you aren’t missing out on anything that may prevent you from injury. Having a garage door that isn’t working at its best also poses a threat to your vehicle and family. There’s no telling with the springs of a garage door are ready to collapse and let go of all the weight. The mechanics of your garage should have an inspection every so often and there are ways for you to do it yourself. Below is some of the tools you'll need in order to take a closer look at things. It is a good idea to also have a flashlight handy as well as a hand or two to help you out. All of the items listed above will keep things moving smoothly and prevent any friction. It is important to keep in mind that there are dangers that will come with choosing to do it by yourself. Your garage door is also usually the largest moving object in your house and has many moving parts. A lack of tuning can prevent things from moving smoothly as time passes by. Investing into your garage door is crucial and will save you a lot of money in the long run. Not keeping an eye on the way that your garage door performs can cause serious problems. 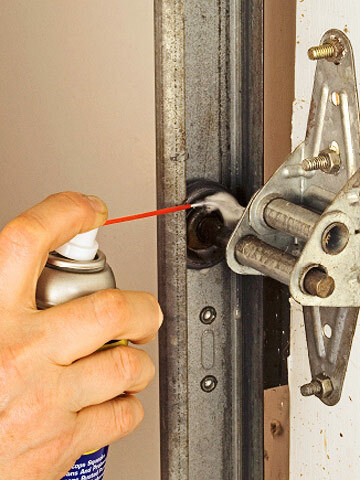 If you keep up with this garage door maintenance, any problems you discover will be small. This in turn will give you peace of mind in the way that your garage door operates. Discovering issues from early on has a wide range of benefits that will prove to be very valuable. Having an annual tune up is important but if you use your garage door very frequent, every 6 months will suffice. Your garage door as a whole is important but there are certain parts that will need special attention. Fort Lauderdale's warm weather often causes screws and bolts to loosen up. A simple tightening of specific areas will keep you much safer than if you decide to overlook them. These fine small parts are responsible for making sure that your garage is handling its job well. Low quality parts should never be used to replace existing parts that came with your garage door. We have a skilled team that is more than capable of getting you closer towards your goals. Regular garage door and garage door opener maintenance will save you money that you may otherwise have to spend on major repairs. You should also keep a close eye on your garage door sensor since it helps ease of operation. When hiring a garage door service provider, look for companies with good reviews. There’s nothing worse than low consumer ratings on the web. Companies who provide proof of insurance and appropriate licensing are easier to trust. Consumers are in need of a reliable company that is dedicated towards getting the job done quick. There is a solution for every problem when it comes to attending to different parts of your garage. If something is beyond repair due to delayed response to a problem, we will suggest to have a new one installed. Getting Ready to Tune Up a Garage door in Fort Lauderdale - Use Caution! Preparing your garage door for a tune up is suggested if you don’t want to risk having anything overlooked. A great way to setup for a professional tune up is by making sure everything is cleared out of the way. This is a crucial first step to take and will take very little time for you to do. Working with professional companies to handle your garage door means efficiency. If you don’t take the right steps towards making sure that everything is easy accessible you’re cutting yourself short. You can eradicate the need for a new garage door just by staying on top of tuning up the one you have. Over the year’s garage doors have come a long way as far as the engineering and design of them go. We have a solution for all types of garage doors on the market. Staying on top of things is will keep you stress free and without any worries for years to come. We will inspect the bearings to the screws and springs that are placed around the design. The time is now to make the right move and deciding on a well-known team to get it done will get you moving quickly. Don’t hesitate to find out more about ways you can increase the movement in your garage. Squeakiness and stiff flaps on a garage door are sure signs of a weakening system. There is no doubt that there are many ways to lessen these issues with a bit of TLC. An in depth tune up will be well worth your money and is a lot safer than doing it by yourself. Contact us whenever you’re ready to get started and find out more about the great offers we have available.